Great fish to remember on the fifth of November! With bonfire night this weekend and the prospect of watching fireworks while stuffing ourselves with hot dogs and bonfire toffee, we thought we'd put together a list of firework-related fish just to get us all in the mood! Or alternatively why not just skip the fireworks altogether and watch these beauties swimming around instead? You can still have the hot dogs and toffee! Also known as the Galaxy rasbora and the Celestial pearl danio, this is a stunning fish which reaches just 2cm/0.75". Males will squabble with one another, so large groups of at least 12 are recommended to spread out any aggression. This is a shy fish, best kept in a species set-up with plenty of plants and a dark substrate to really show its colours. Small fish, big on colour. This gorgeous little fish is one of the smallest tetras available in the hobby, reaching just 0.8"/2cm, so suitable for the nano aquarium. Keep it in soft, acidic conditions to really see that ember glow. One of the most popular of the marine dwarf angels, the Flame is a truly stunning and hardy fish. Not entirely reef compatible, as it may nip at stony corals zoanthids and clams. Reaches around 10cm/4. This Asian spiny eel is one of the more commonly seen species of eel in aquatic shops. It's usually peaceful – but inclined to eat small fish, so not one for the general community. It also reaches 90cm/36" or more, so needs a large aquarium. A truly delightful little killifish, but like many killies sadly not seen often in the shops. Reaches around 3.5cm/1.5". A species set-up is best for this fish, but it will be OK kept in a community aquarium provided tankmates are small and of a peaceful nature. 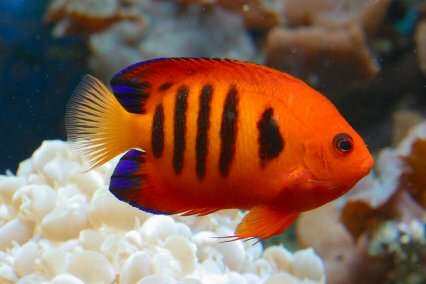 A beautiful inhabitant of the Indian Ocean, this marine angel typically grows to just 8cm/3.5” and is arguably one of the best pygmy angelfish for home aquaria. It's risky adding any Centropyge species to a reef tank, but this fish is less likely to nip at prized sessile invertebrates such as corals if it gets enough food, so regular meals, coupled with well-seeded live rock to forage on, should help. Sparkling gourami Pic by George Farmer. Another fish that's proof that small can be beautiful. The Sparkling gourami reaches around 4cm/1.5" in size and is ideal for a small species set-up with a slow water flow and plenty of plants. 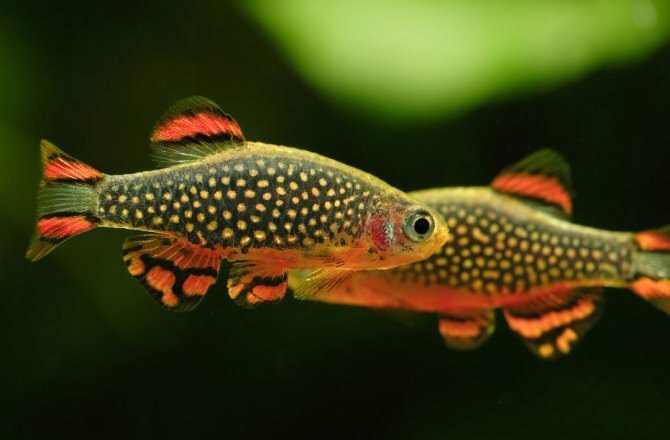 It's quite a shy species so if you do want to keep it in a community set up limit your choice of tankmates to small, peaceful fish such as Otos and dwarf corys.